What's this cotter pin on the barrel adjuster for? If I turn the barrel adjuster too much, it is going to start digging in to the paintwork. Should I remove the cotter pin? Is it required once a cable is installed? I pulled the cotter pin off and it turns out there's a spring inside the grey knob that pushes it down to the blue frame piece. That engages the 4 bumps on the grey knob with the 4 dents in the frame (giving 4 index positions per rotation of the knob). Seems like the cotter pin was meant to be removed all along and maybe only acts to hold the grey knob and spring in place before the barrel adjuster is installed on the frame. I'm not 100% sure that this is the answer to my question, so wanted to throw this information out there before accepting my own answer. 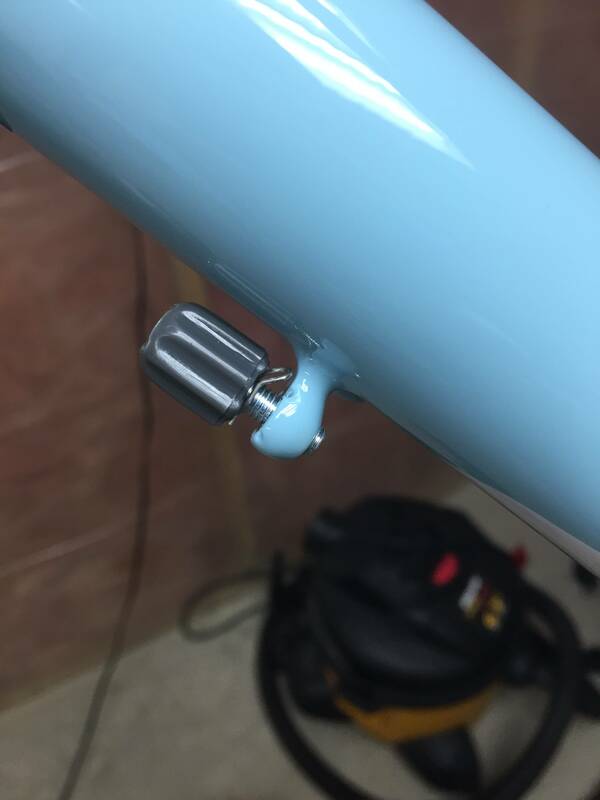 If you look at the bottom of the plastic adjusting knob you will notice small bumps. Your frame lacks the corresponding bumps that would normally act as a detent to hold the knob in position. In practice you remove the cotter pin make the adjustment and reinstall the cotter as close to frame as possible. Not the answer you're looking for? Browse other questions tagged frames cable or ask your own question. Could paint build up on a bottom bracket be considered a warranty issue? 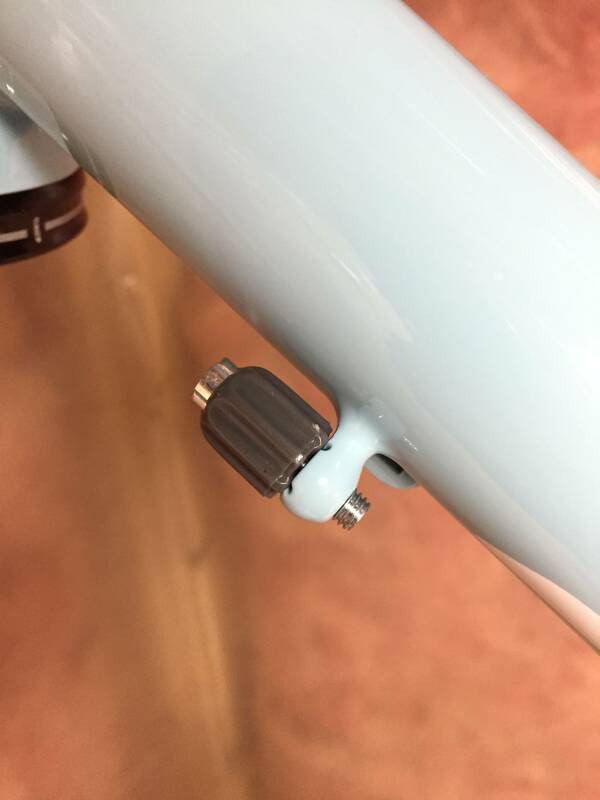 How to adjust cable length on integrated brake/shift levers, when there is no barrel adjuster? How to re-terminate frayed brake cables? Bike with a hi-ten steel frame for getting around the city?